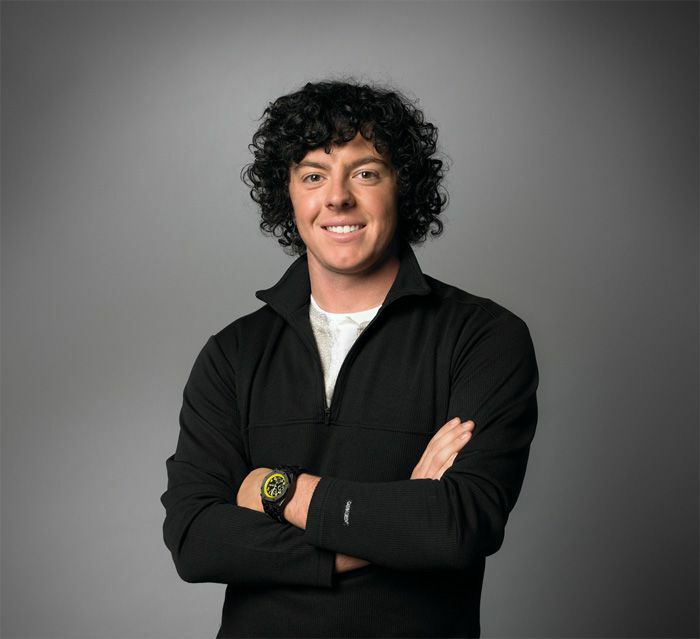 Golfer Rory McIlroy (we featured him here in the past) just signed up with OMEGA and left Audemars Piguet. 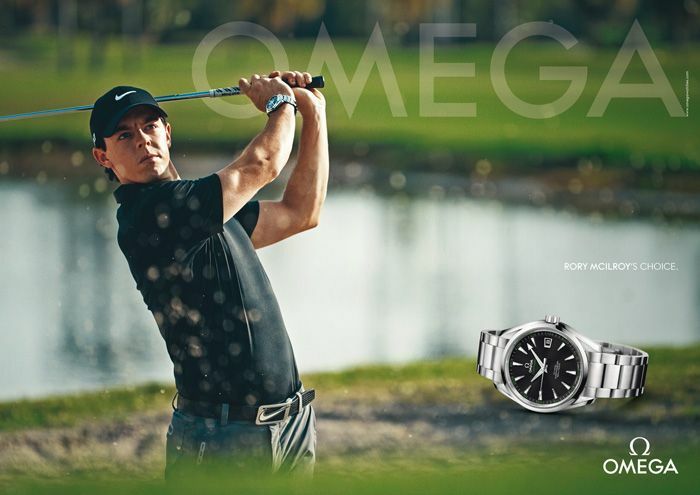 OMEGA immediately captured him in an advertisement for the Aqua Terra collection, which they link to the golf sport. In the past, OMEGA has been sponsor of golf legend Ernie Els and during the years, added players like Greg Norman, Davis Love III, Sergio Garcia and Michelle Wie to their list of ambassadors. And now Rory McIlroy. No worries for Audemars Piguet though, they still have some golf players in their stable of ambassadors. What to think of Belén Mozo, Bud Cauley, Christie Kerr, Louis Oosthuizen, Miquel Angel Jiménez and even more. A number of big watch brands want to be associated with golf, as it is one of the most popular sports world wide. Here is a photo of Rory McIlroy in his AP days, wearing the Offshore Chronograph Bumblebee in forged carbon. However, he’s also known to wear the Royal Oak Chronograph 26300 (the guys from Hodinkee did a funny coverage on it in the past). 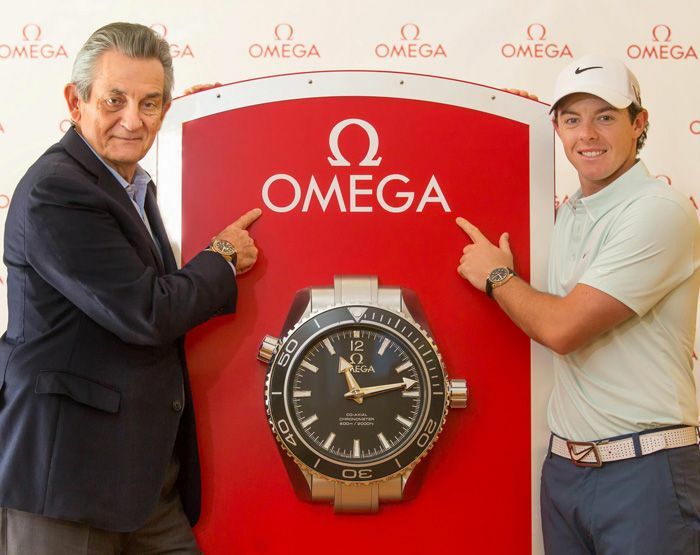 And below a picture that OMEGA released this morning on their official Facebook page, showing OMEGA CEO Stephen Urquhart and Rory McIlroy in front of a huge OMEGA clock, both wearing a Seamaster Planet Ocean. Assuming it is for this picture only, being a new ambassador for the Seamaster Aqua Terra collection. More information can be found on the official OMEGA website and on their Facebook page. Also more info can be found by our friends of Hodinkee.